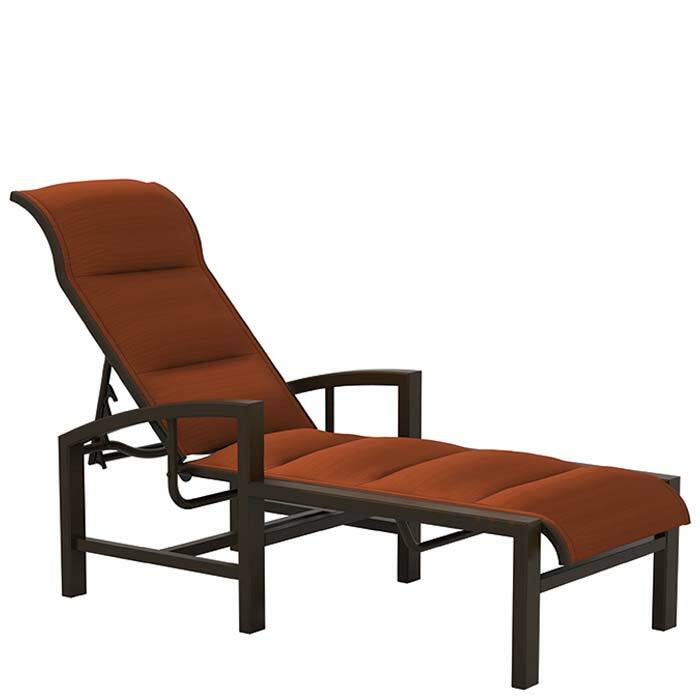 The Tropitone® Lakeside Padded Sling Padded Chaise Lounge is perfect by the pool or on the patio. Designed by Peter Homestead, the Lakeside Padded Sling Chaise Lounges features durable sling fabric and extruded aluminum for comfort and ease of maintenance. So sit back, relax in the Lakeside Padded Sling Chaise Lounge and enjoy outdoors.